A group of 10 French students from Sainte-Marie Lyon, France, accompanied by two TAR UC Main Campus CPE staff visited the Penang Branch Campus on 10 December 2018. 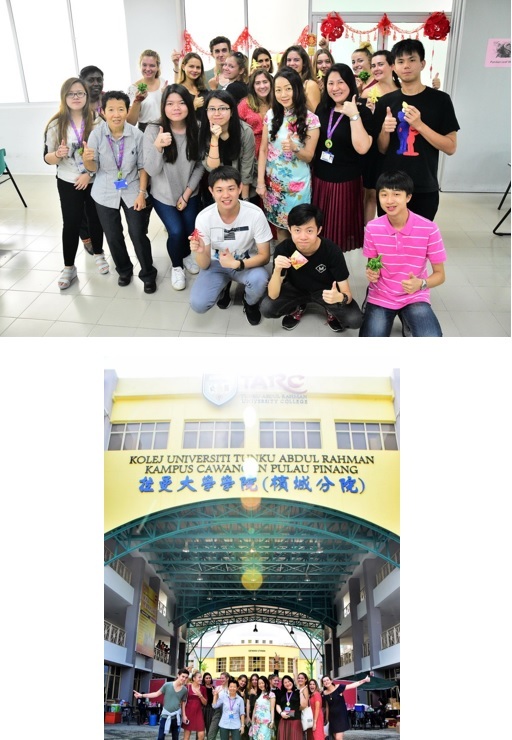 The students were on a one semester study abroad programme at the TAR UC Main Campus and visited the Penang Branch Campus as part of a cultural and heritage educational tour. Upon arrival, they were given a warm welcome by Assoc. Prof. Dr. Toh Guat Guan, TAR UC Penang Branch Campus Head. This was followed by an introduction to Penang by Ms. June Chiang Kai Sing. TAR UC Penang Branch students performed a sketch of popular local greetings in Bahasa Malaysia and Hokkien. Then, there were hands-on activities such as henna painting, Chinese New year origami and pandan leaf weaving. They then went on a campus tour led by staff and student leaders, visited the Entrepreneurship Week activity booths at the Main Foyer and returned to a delicious bento lunch specially catered for them. Based on their feedback, they were impressed with the clean and green campus and the friendly staff and students who made them feel welcomed. Needless to say, they also enjoyed the delicious food and the interesting activities planned for them. Before departure, they had a group photograph taken with the staff of the Penang Branch Campus to bring back fond memories of the visit. "Entrepreneur And Cash Flow Game Workshop"
Industrial Talk entitled "My Entrepreneurial Journey in Engineering"